A second Halloween walk for our group! 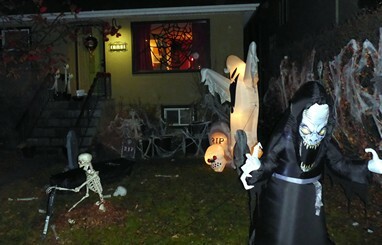 We saw many trick-or-treaters, scary decorations and a few animated spook shows. Dinosaurs were a popular theme this year. We were given popcorn, candy and hot chocolate by some of the home owners. We also provided candy... thank you Lynn! Thank you all for walking and sharing the fun time.